Q: I received a two-year green card, based on my marriage to a US citizen. I see that the card is due to expire in a few months. What do I do now? A: Your two-year permanent residence (as opposed to green cards good for ten years in other circumstances) is “conditional,” because you were married to your US citizen spouse for less than two years at the time when your legal permanent residence was granted. Now you and your spouse MUST jointly file Form I-751 with US Citizenship and Immigration Services (USCIS) during the three-month window before your current card expires, in order to “remove the condition” and obtain a green card with a ten-year validity period. Neglecting to file this application on time can have serious adverse consequences including the loss of permanent resident status. 1. Birth certificates of any children born of the relationship, showing the applicant and spouse as the parents. 2. Copies of federal and state tax returns with the “married filing jointly” filing status. 3. Evidence of joint checking, savings, or other accounts or assets (certificates of deposit, stocks, bonds, mutual funds, retirement accounts, pension plans, etc. ), or joint obligations on any loans. 4. Photo ID cards (such as driver’s licenses, school IDs, or amended passports) showing the wife’s married name. 5. An apartment lease or a letter from the landlord indicating that both spouses live at the apartment, or copies of rent receipts showing both parties' names. 6. House or condominium deeds or mortgage documents showing joint tenancy and obligation. 7. Credit cards showing both spouses’ names on the accounts. 8. Documents from an employer showing a change in records to reflect the spouse's new marital status or showing designation of the spouse as the person to be notified in event of accident, sickness, or other emergency. 9. Evidence of life insurance policies where one spouse is named as the beneficiary of the other. 10. Evidence of one spouse’s medical or health insurance plan that has coverage for the other spouse. 11. Evidence of correspondence between the parties during their relationship, including letters, birthday and holiday cards, telephone calls, e-mails, and other correspondences addressed to the parties. 12. A religious marriage certificate if the couple was married in a religious ceremony, as well as evidence relating to the wedding such as invitations, arrangements for the reception, etc. 13. Copies of gas, electric, telephone, cable, and other utility bills showing both parties’ names (or at least the same mailing address). 14. Evidence of joint ownership of an automobile (title, insurance, registration, financing). If one spouse owns the car, show at least that the other is covered as a driver on the insurance policy. 15. Evidence of vacations and other trips taken together, including airline tickets and hotel bills. 16. Evidence of major purchases made together, such as computers, audio equipment, television, refrigerator, washer, dryer etc., including any financing documents. 17. Photographs that show both spouses together, and with family and friends. These can be taken at the wedding, at other functions or events, and throughout their relationship. There is one important additional requirement with regard to marriage evidence at this stage: applicants also must submit at least two sworn affidavits from people who know the spouses as a married couple and who can briefly describe their relationship with them. These can be relatives, close friends, employers and others, preferably US citizens. No one has all the evidence listed above, but every couple has at least some of it. The point is to submit everything that fits your particular situation, so as to avoid having your application held up if USCIS asks for further information. Note that in some circumstances, you can file this petition without your spouse if, for example, you are now divorced or if you are a victim of domestic violence. In these circumstances, you are required to show that you had a “good faith” marriage, among other things. IIIC can assist you with the I-751 form and affidavits and help you to evaluate whether your marriage evidence documentation is sufficient. Also, if there are any criminal offenses since you were granted conditional permanent residence, it is essential that you consult with an immigration lawyer before filing. 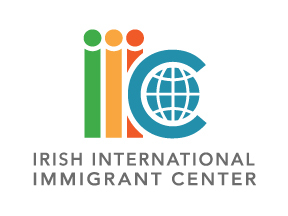 Visit one of IIIC’s weekly clinics advertised in the Emigrant for a free, confidential consultation about this or any other immigration law issue.